A residential sump pump keeps your basement dry, so you have to be confident in its ability to perform. Jim Ando Plumbing has nearly 30 years of experience serving the Buffalo, NY area with the right tools and trained technicians to get the job done right the first time. Should You Consider a Residential Sump Pump? We recommend sump pumps for homes and residential buildings in the Buffalo area that experience a lot of precipitation, are located near a body of water, or for building located in low-lying areas. Using a series of French drains, water is siphoned into a special tank. Once the water in the tank reaches a certain point, the pump turns on and starts to push the water away from your home. 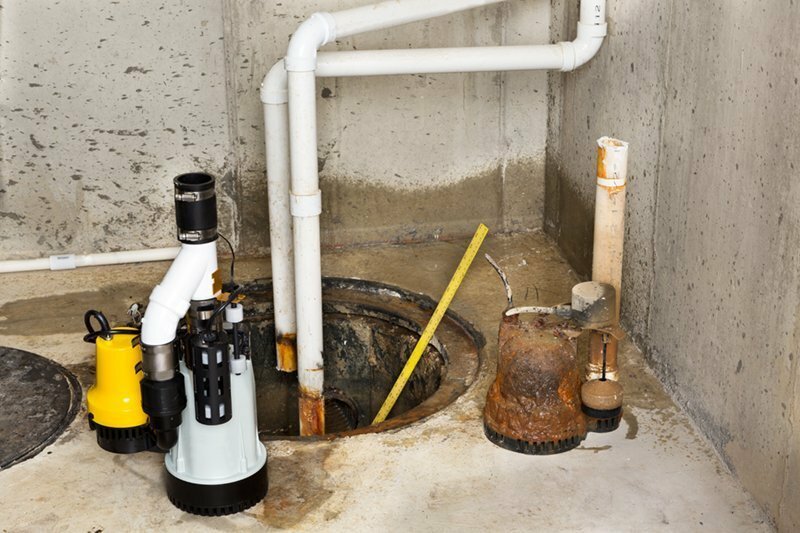 Do you have a sump pump that’s constantly running? That can be a symptom of a different problem, such as a plugged or collapsed drainage line, water leaks, or basement damage. They can be expensive to replace, and even more costly (and messy) when they fail. Fixing the problem soon can save you hundreds of dollars (or more). Get a FREE sump pump inspection by Ando Plumbing, and we’ll diagnose the problem to determine if its a problem with the pump, or if there’s another problem that may be the cause. Make sure your home’s sump pump is ready to work with Jim Ando’s professional repair and installation services. Book an appointment with our expert technicians in Buffalo, NY by calling 716-771-3601.